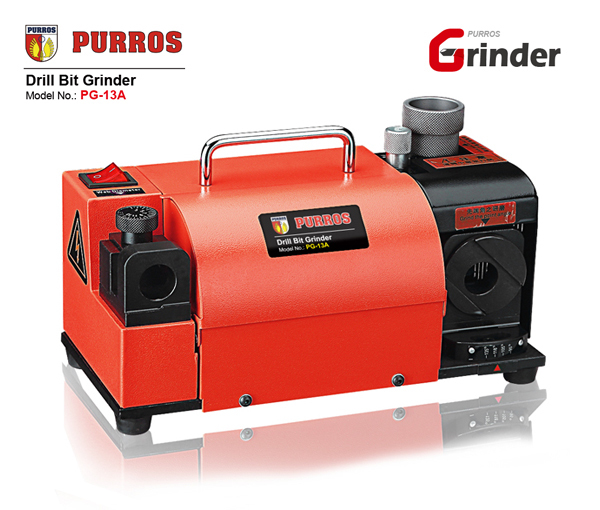 PG-13D - Purros Machinery Co.,Ltd. 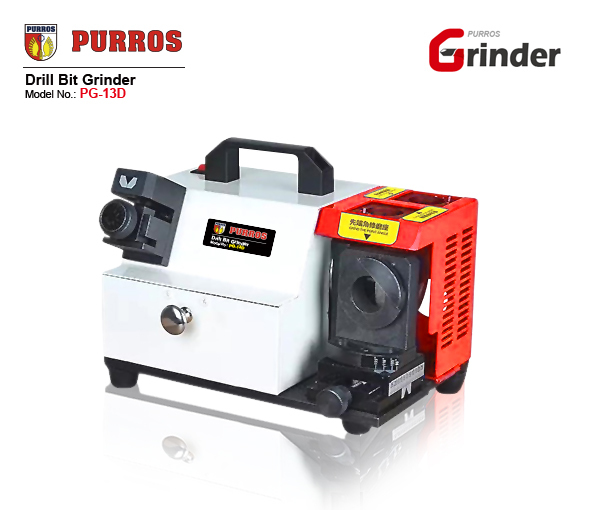 With the drill grinding attachment of PURROS brand for drill bit grinder PG-13D you can now sharpen drill bits with high precision. 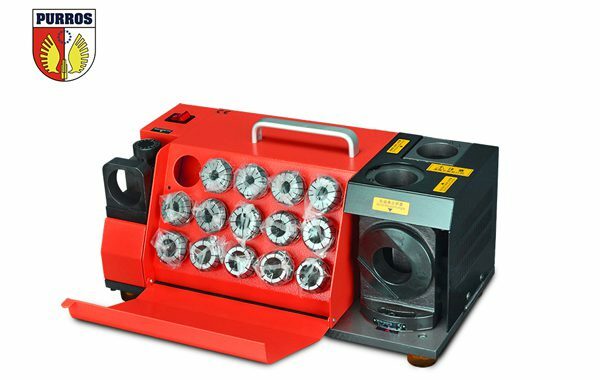 The optimal point and clearance angles can be set according to each drilling requirement, which depends upon the drill size and material being drilled. You can completely restore worn drills as well as broken drills back to new. When sharpening broken drills, much time may be saved by roughly shaping drills free hand before using drill grinding attachment. Dip drill in water when shaping free hand to prevent overheating.